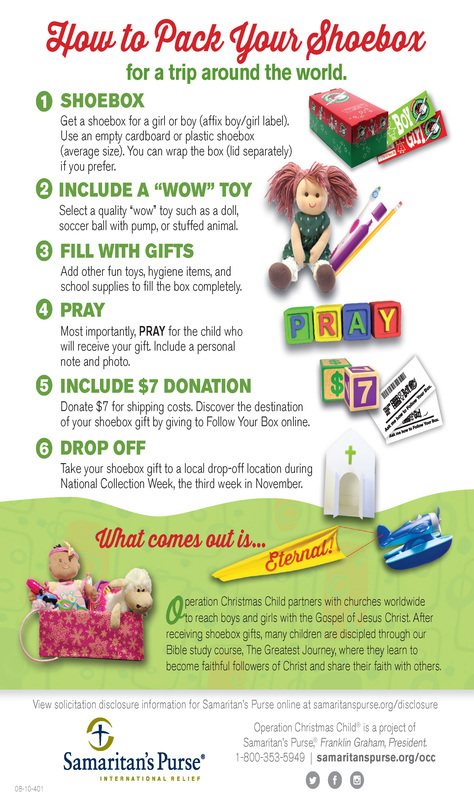 For over 20 years, Samaritan's Purse has delivered shoebox gifts packed by caring people like you to hurting children around the world. Every shoebox offers an opportunity to share the Good News of Jesus Christ with a hurting child. August - School supplies, sweing kits, fishing kit supplies, etc.